Throw in the Saucepan Cake. The Throw in the Saucepan cake was one of my Granny’s trademark cakes. I wouldn’t want to begin to guess how many she baked, or how many slices I ate over the years. I can’t remember when I started making them too, but I know that until a couple of weeks ago it had been a few years since I’d made my last, sometime before she died. I asked my Grandad this morning and like me he can’t remember exactly where she found the recipe, we know my Granny cut it from a newspaper some years ago so it was probably the Express and Star or the Sunday Mercury – both papers they read regularly. I made a regular version of the Throw in the Saucepan cake a couple of weeks ago for him for Father’s Day and the verdict was entirely positive. As I made it I wondered how it would be if I made it with gluten free flour – I didn’t want to miss out on revisiting this cake. I made one yesterday, and today’s taste test has been a great success – I’m so happy with how it has turned out. It’s certainly going to be one of my regular bakes from now on. Put sugar, milk, fruit and margarine in a saucepan. Bring to the boil whilst stirring, then allow to cool. Add eggs and flour, and stir well. Pour into a 7 inch greased and floured tin. Cook at 180C for an hour, turning down to 150C after 45 minutes. And that’s it. 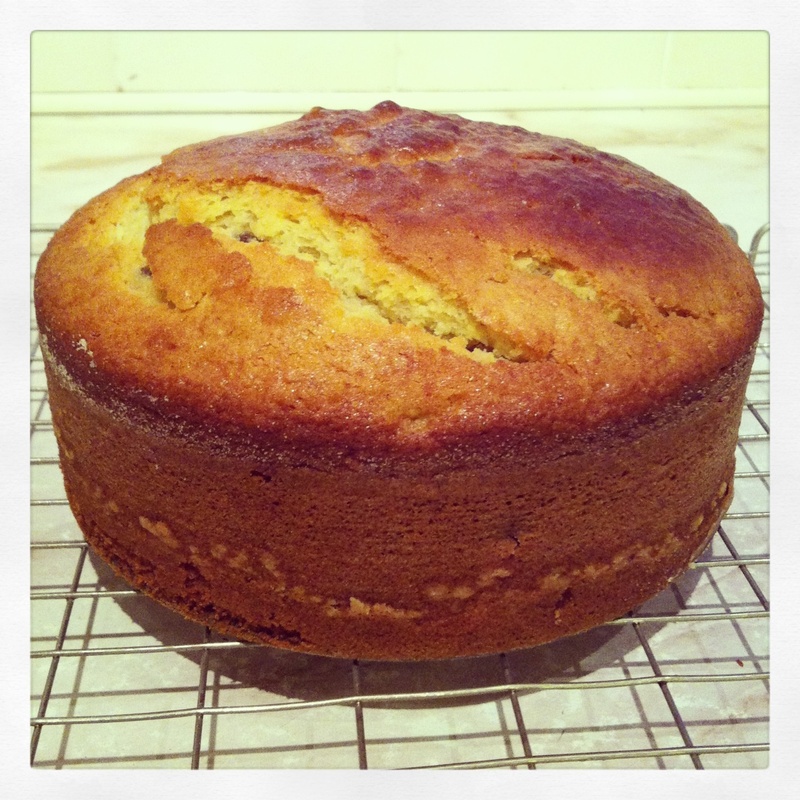 A lovely simple recipe that makes a lovely cake. For the gluten free version I used Dove’ Farm flour, and of course you need to make sure your mixed dried fruit is gluten free as not every manufacturer’s is. Previous Post Picture Book Mini Reviews . Next Post Disability in Kidlit month. I’ll definitely be trying this one!